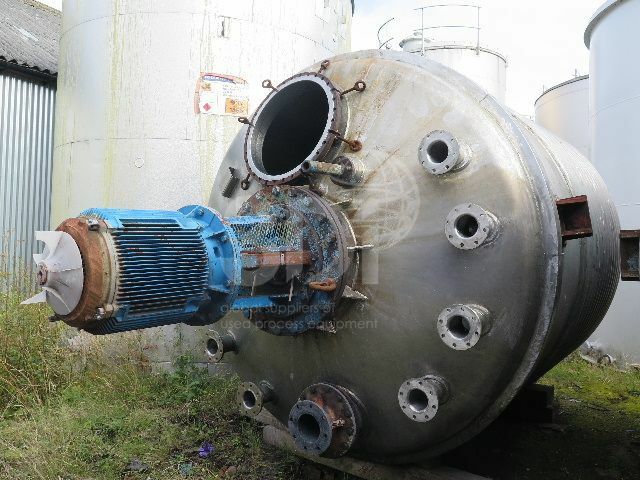 Used 12,000 Litre 321 Stainless Steel Reactor Vessel, manufactured by Blairs of Glasgow. Orientation: vertical, cylindrical, dished top and bottom with side supports. Dimensions: 2440mm diameter, 2340mm on the straight, 520mm dished ends. 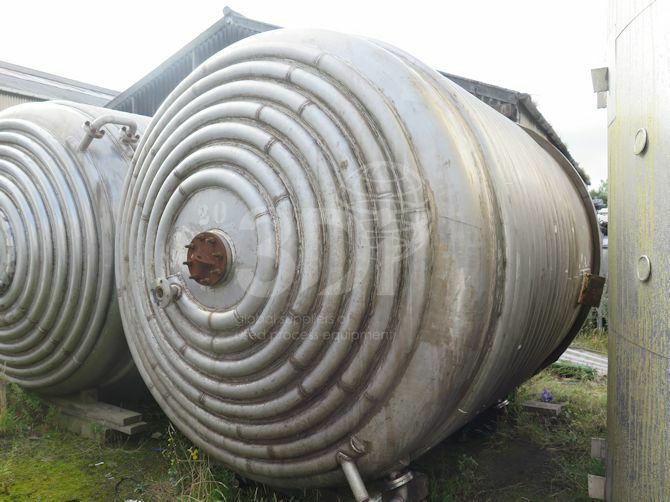 Vessel is jacketed with (15) wraps of limpet coil on the side wall and (7) wraps of limpet coil on the bottom dish. 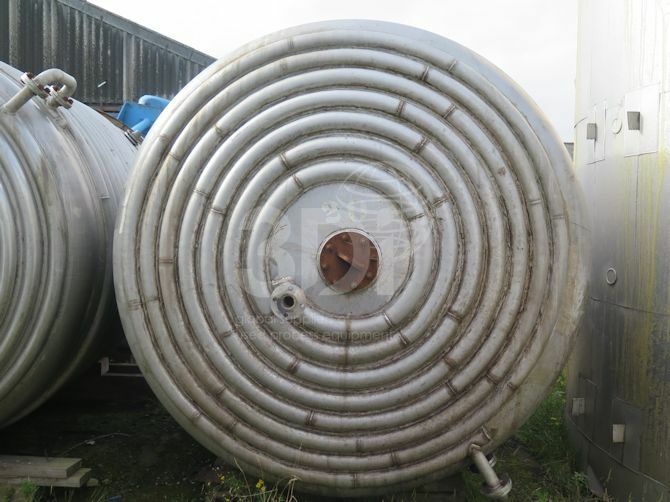 Design data: hydraulic test pressure 3.6bar vessel, 9.3 bar test pressure coil. 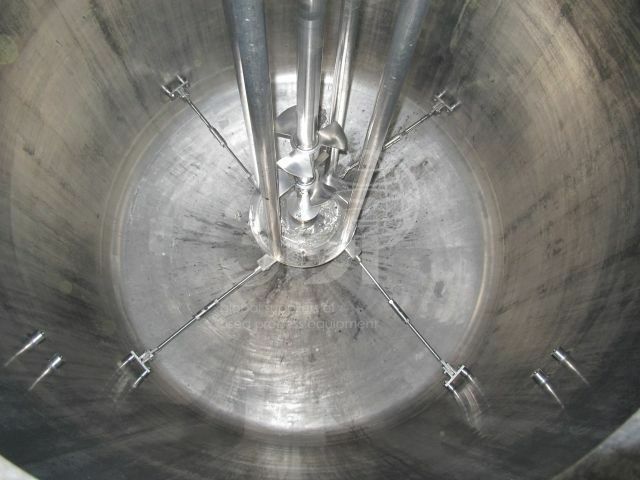 Vessel is complete with a top centre mounted high speed disperser type agitator, powered by a 45kw Rotor electric motor. Previously used on pigments.